Last month I managed to visit the medieval village of Cordes-sur-Ciel near Toulouse, France. This fortified town on top of a small hill was built in 1222 by Raimon VII, the count of Toulouse. A steep hike rewards one with great views on the surrounding vineyards. Even though it can be quite touristy at times, there are plenty of photo opportunities for the travel photographer. 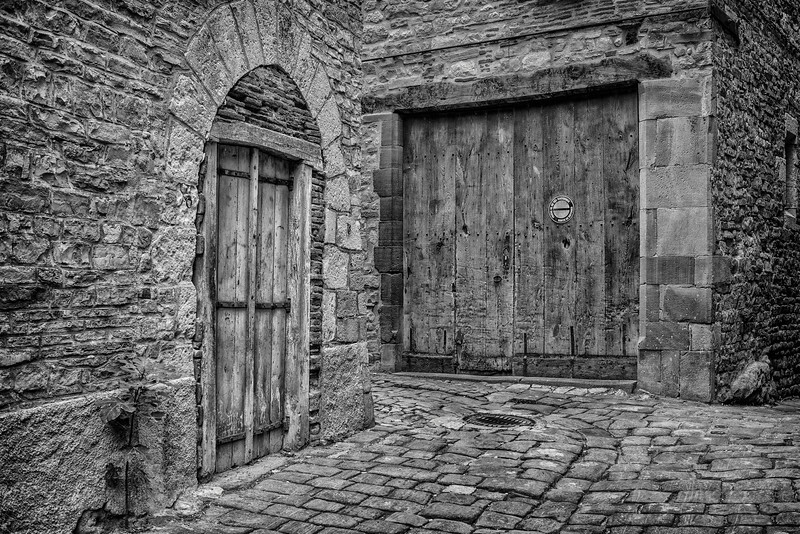 The image above of two very old doors, takes one back in time and gives a good impression of what the village looks like! 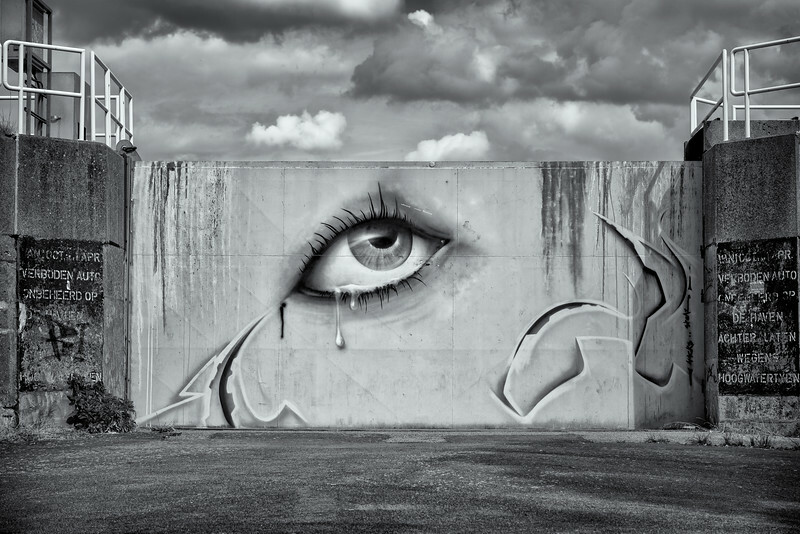 More of images of the region can be found in my new "Toulouse" gallery. As promised in my post April 24, I went back to the Al Marmoom Camel race track just down the road from where I live in Dubai. The camel racing season is now just about to start and it felt like the camel drivers really enjoyed the cooler weather. Especially just before sunset the place is full of activity with loads of camels being taken on the track for a walk or run. 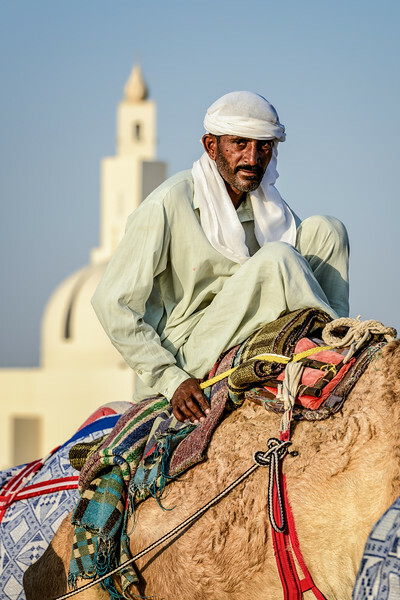 A perfect opportunity to photograph some of the camel drivers. More images of the afternoons shoot can be found here here. Last but not least, "Eid Mubarak" to all Muslims celebrating Eid-al-Adha! Where ever you are, what ever you do, have a great weekend! 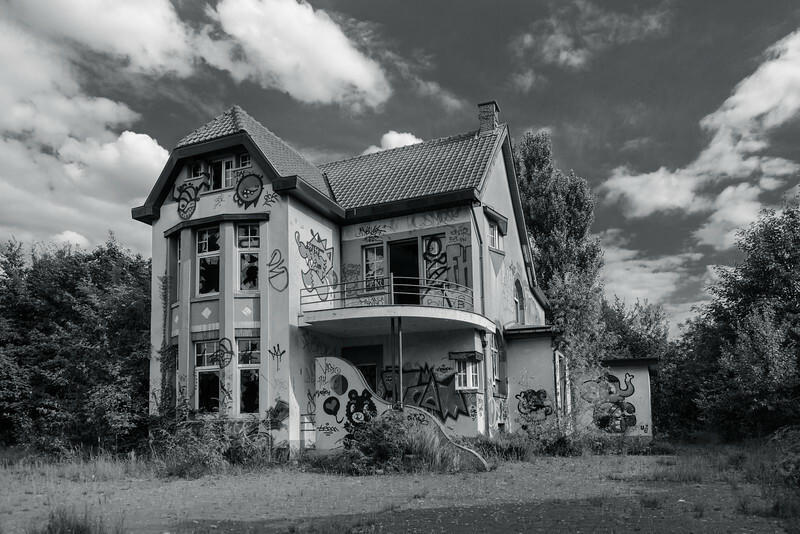 It is quite rare for an entire village to disappear, but this is unfortunately what is happening to Doel, close to Antwerp Belgium. 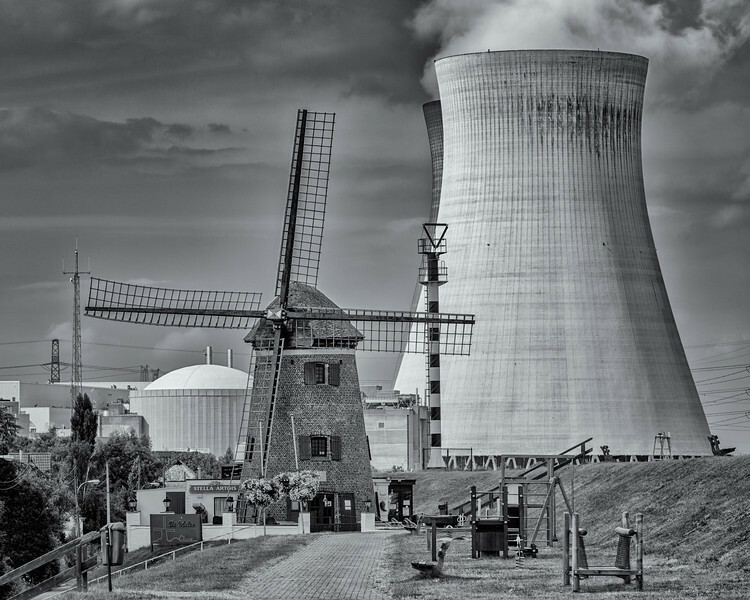 The village which dates back to 1267, is nestled on the left bank of the river Scheldt next to one of the main nuclear power plants in Belgium. Somewhere in the 1970's it was decided that the expansion of the Antwerp harbour, would eventually make Doel disappear. It was only at the end of the 90's that the first people started moving out. The population has now gone down from well over 2000 to probably less than 20. In 2008 the government announced that they would start breaking down the houses, but after 4 years almost all of them are still standing, including a 17th century windmill on the dyke of the river. 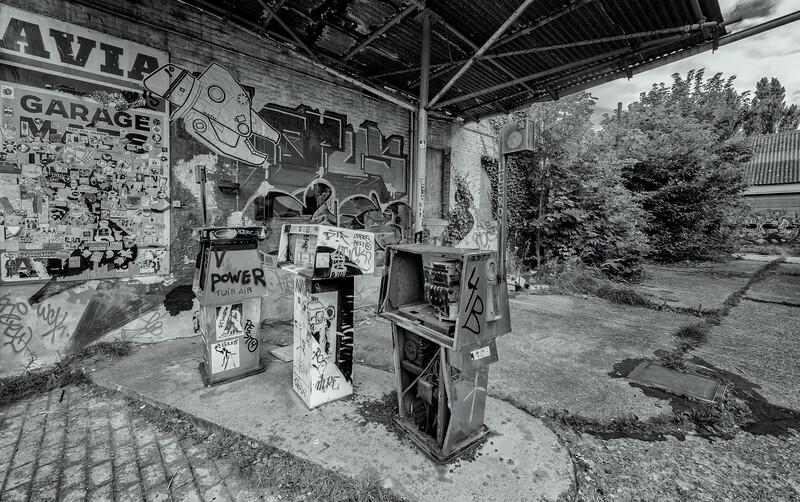 The place has become a mecca for graffiti artists and Urban Exploration (Urbex) photographers. 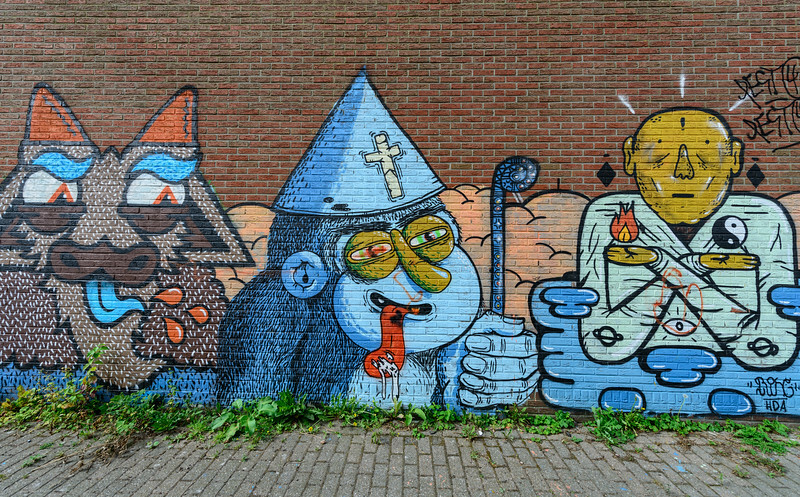 More of the images made at Doel can be found here. It is quite rare that I use an iPhone image in my Pic(k) of the week series.... But as we all know, the best camera is the one you have with you! As I was coming out of a restaurant in downtown Toulouse last week, this VW Beetle was just begging to be photographed. The harsh light of the overhead streetlights stood in dark contrast to the overall scene. Even though this image clearly has some flaws like the blown out highlights on the car, it gives me that European wintery feel... Maybe even a sense of loneliness. To be honest, I'm not really sure that the same would be achieved if I had taken it with the D800. I guess that a very clean image would almost be too clinical. Remember, "when people ask me what equipment I use, I tell them my eyes"
As some readers might know, I'm presently in the South of France on a three week A380 pilot training course for my day-job. Even though I brought my Nikon D800 to Toulouse, also called the Pink city, I've had little opportunity to go out and shoot. Yesterday I took a short touristy boat trip on the river Garonne, for the sole purpose of trying to capture some interesting images. 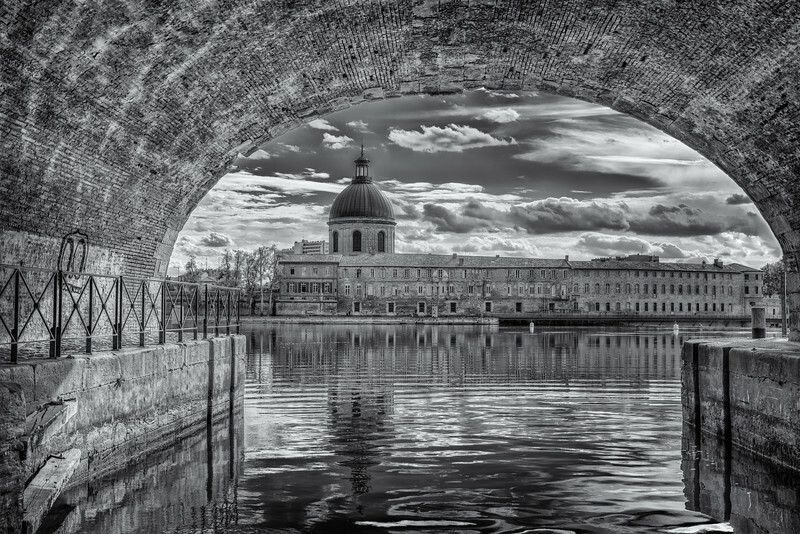 The image above of the "Hôpital de La Grave" was made as the boat came out of one of the locks along the river Garonne. I particularly like how the bridge frames the 17th century building with a dramatic sky in the background. Even though I have limited editing tools available on my Macbook, I'm pleased with the resulting image. Therefore an image I shot at the Zoersel PhotoFlying days last August. 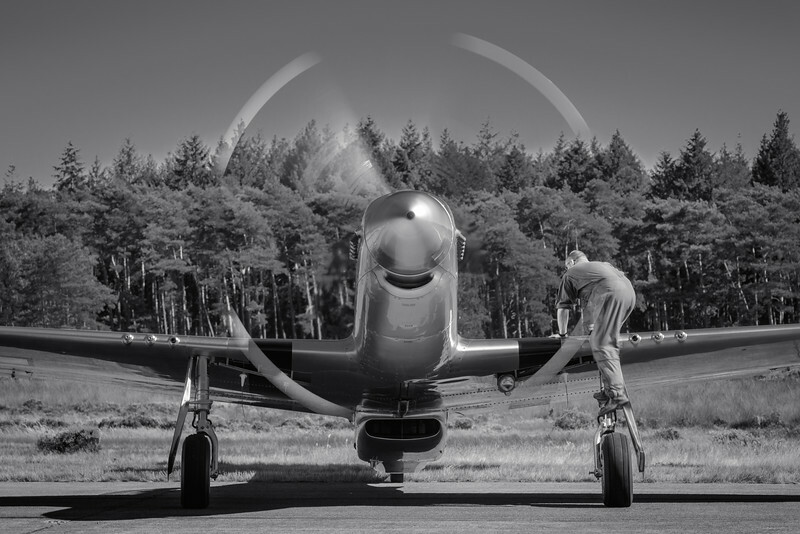 The image above of a World War II P-51D Mustang, highlights the difficulty of shooting prop-aircraft with a running engine. When running the RPM (Rotations Per Minute) of their propellers varies between 500 RPM at IDLE to above 2500 RPM during take-off, climb and cruise. If one shoots at relative fast shutter speeds like 1/500s or more, the prop freezes and it looks like the engine just stopped. Obviously not looking natural for an aircraft, especially in flight! First of all, we need to know how many prop blades the aircraft has. Some are equipped with 2 bladed propellers while others have 3, 4 or even more. The P-51 above has a 4 bladed prop. Next lets suppose a low RPM on the ground of 1200 RPM, which equals to 20 rotations per second. A full prop disk will be displayed if the shutter speed is 1/80s (RMS x number of blades) or less. The image was shot at 1/60s and a little bit of the full prop circle is missing. This proofs that the RPM was more than likely lower than 1200RPM. End of maths lesson! RAW development in Lightroom 4.1"